As introduced by Creighton Sen. Tim Gragert, LB243 would create a healthy soils task force under the state Department of Agriculture. Gragert said deep soil testing, nutrient management, cover crop planting, no-till farming, irrigation water management and other healthy soil practices increase crop resilience to drought, reduce soil erosion, improve crop yields, increase carbon sequestration, enhance water quality and increase water retention, thereby reducing downstream flooding. The task force would study why those practices are not more widespread among Nebraska farmers despite a wealth of available information, Gragert said, and it would develop methods to increase their use. “My intent behind this legislation is not … to create new mandates for the agriculture sector but to make more information available on the advantages of improved soil health to demonstrate the economic and environmental benefits of healthy soil management practices,” he said. An Agriculture Committee amendment, adopted 38-0, would change the composition and duties of the task force as originally proposed. Members would include the director of the state Department of Agriculture or his or her designee and others appointed by the governor, including representatives of natural resources districts, production agriculture and agribusiness as well as academic experts and representatives from environmental organizations. The chairpersons of the Legislature’s Agriculture and Natural Resources committees would serve as nonvoting members. When developing the plan, the task force would examine how to provide farmers and ranchers with research, education, technical assistance and demonstration projects; financial incentives to improve soil health; and information on the contribution of livestock to soil health. It also would identify goals and timelines for improving the state’s soil health through voluntary partnerships among producers and state and local agencies as well as public and private entities. Additionally, the task force would examine provisions of the 2018 Farm Bill to identify ways to leverage state, local or private funds under a U.S. Department of Agriculture conservation program for the purposes of the healthy soils initiative. The task force would submit its plan, findings and recommendations to the Legislature and the governor by Jan. 1, 2021, when it would terminate. 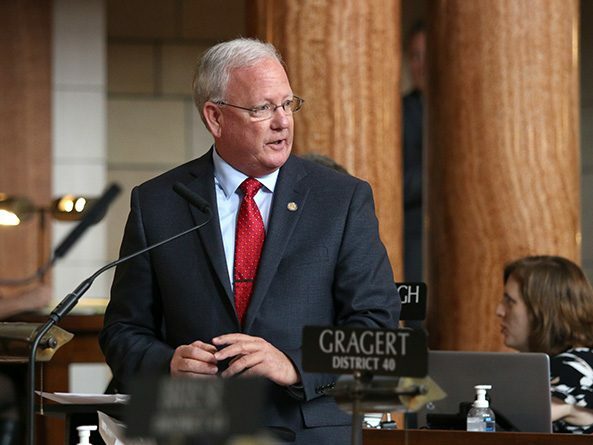 Gragert said the amendment also would authorize the state Department of Agriculture to transfer a total of $10,000 from an existing cash fund to pay for the task force’s administrative expenses. Sen. Steve Halloran of Hastings supported the bill. He said the task force would serve as a clearinghouse to coordinate and communicate the abundant information that exists about healthy soil practices. 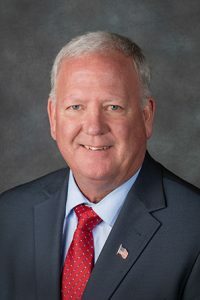 Plymouth Sen. Tom Brandt also supported LB243, saying that the proposed task force is needed as a result of recent flooding in much of the state. Sen. Dan Hughes of Venango opposed the bill. He said the task force would be redundant because many farmers already have adopted healthy soil practices in order to stay profitable. After voting to adopt a technical amendment introduced by Gragert, senators voted 39-1 to advance the bill to select file.